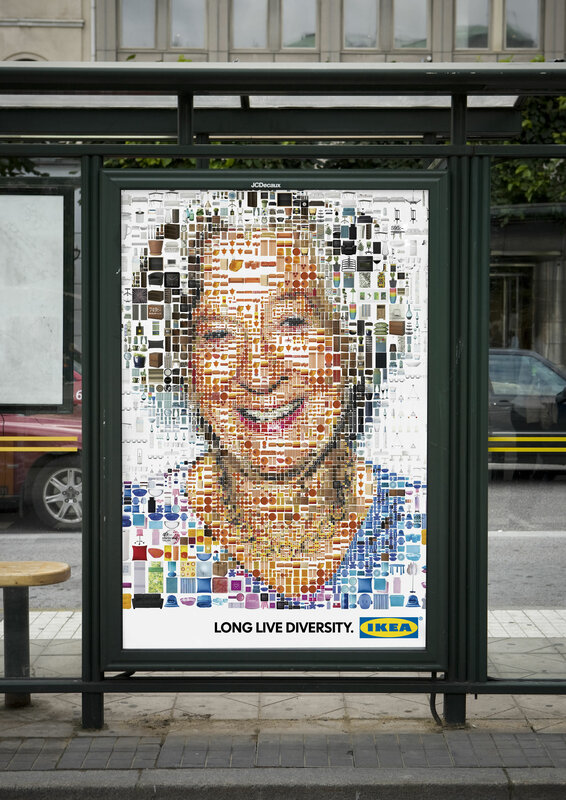 IKEA promoted the Swedish Summer and Autumn campaign with a series of outdoor posters celebrating diversity. 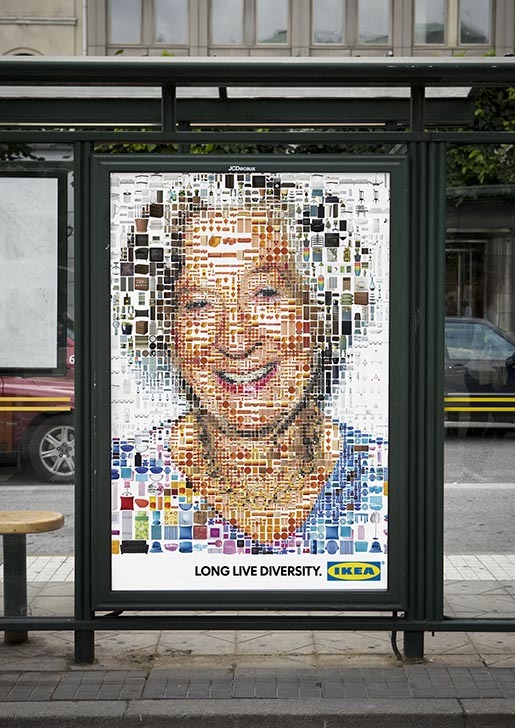 Mosaic photographs, using thousands of products available in IKEA stores, present the message, “Long Live Diversity”. 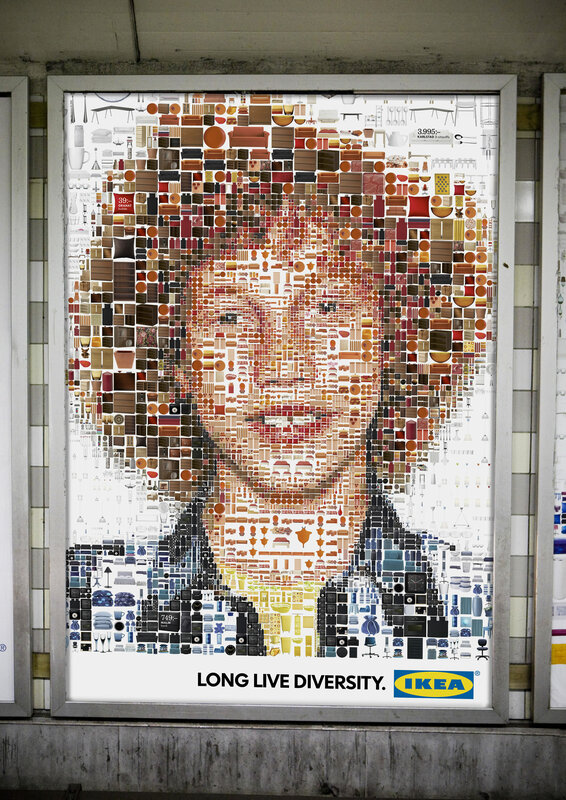 The Diversity campaign was developed at Forsman & Bodenfors, Gothenburg, by project leader Susanna Fagring, Olle Victorin, production managers Ewa Edlund, Elin Sohlberg, art directors Anders Eklind, Anna Helmet, copywriters Fredrik Jansson, Anders Hegerfors, advertiser’s supervisor Christine Eliasson, designer Christoffer Persson. 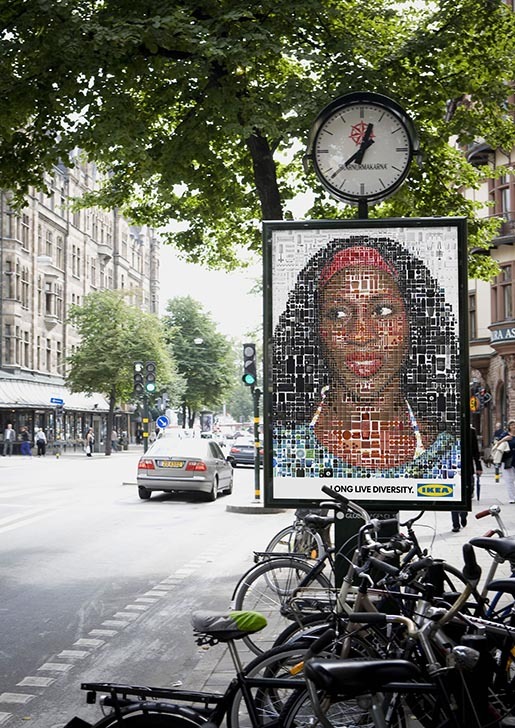 The graphic work was done by illustrator Charis Tsevis (Tsevis Visual Design), using Made with Synthetik Studio Artist, Adobe Photoshop and Apple QuickTime Pro with custom developed scripts and techniques. 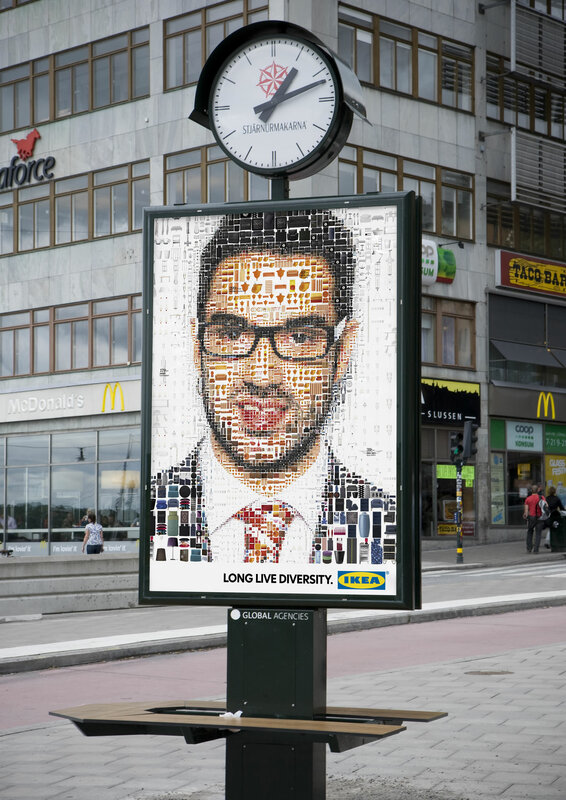 Retouching done at Factory F&B. 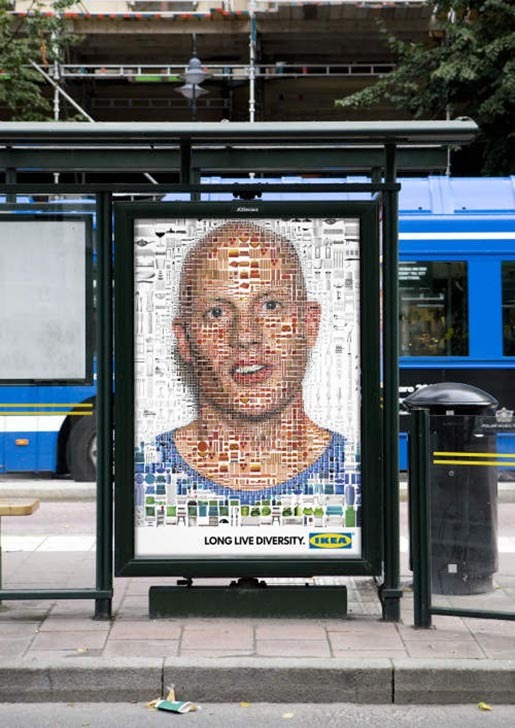 Media was placed by MEC. See the campaign online at Flickr and Dripbook.